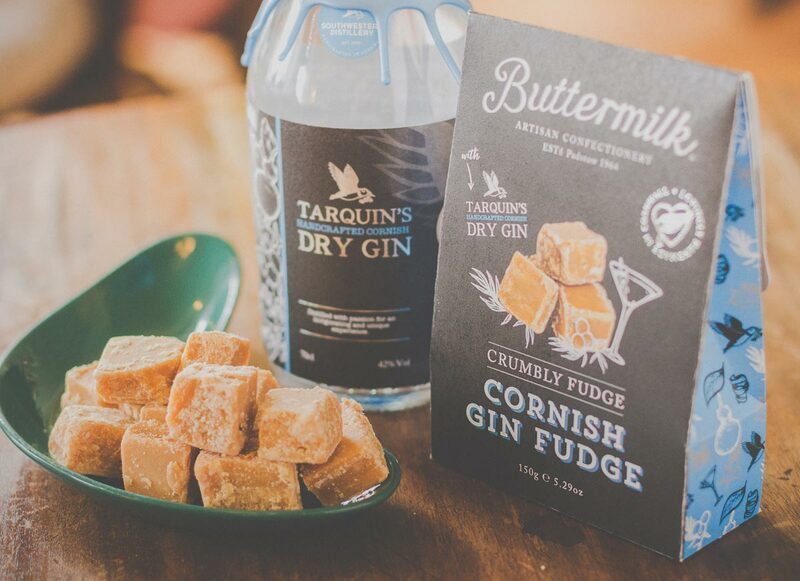 Cornish fudge made with Tarquin’s dry gin. 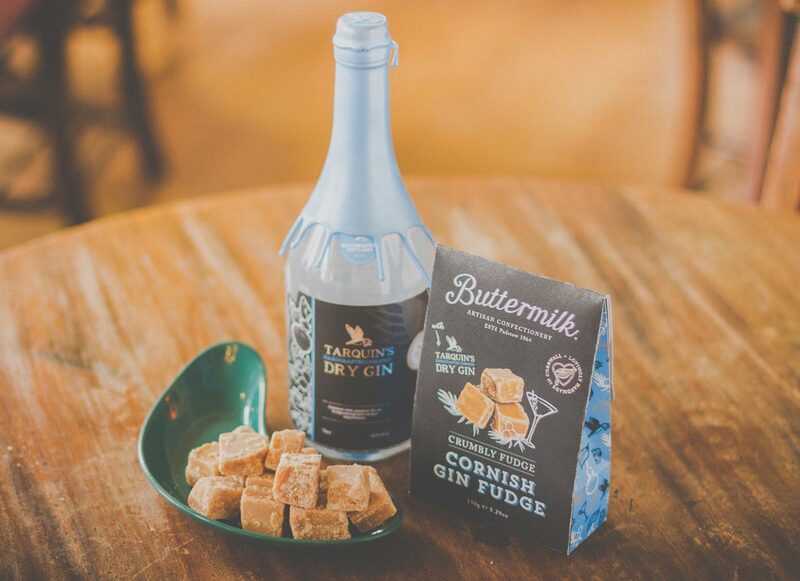 This Cornish collaboration with Tarquin’s gin means this sumptuous all-butter crumbly fudge is now infused with fragrant juniper. 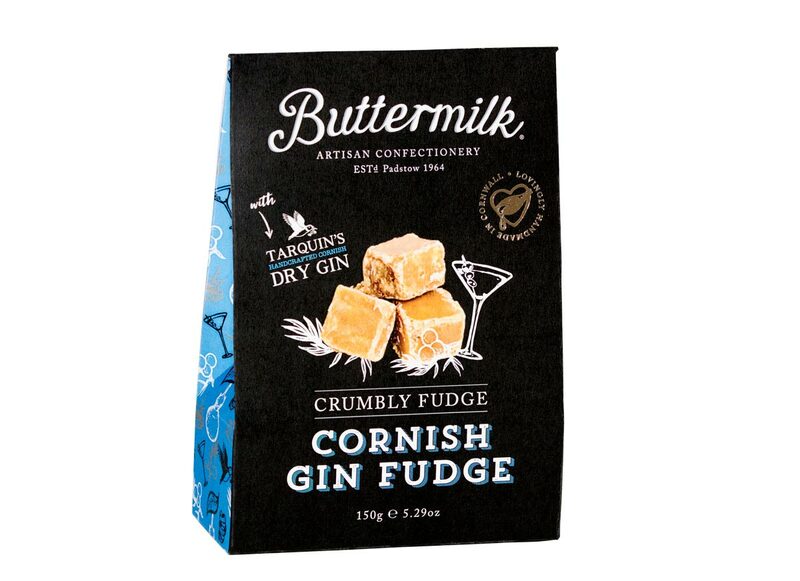 Stirred over open flames in traditional copper pans, this delicious fudge is lovingly handmade by craft confectioners in Cornwall. Sugar, Sweetened Condensed Milk (whole milk, sugar), Butter (milk), Golden Syrup, Glucose Syrup, Tarquin’s Gin 2%, Salt, Natural Flavour, Juniper Oil, Orange Oil. Made in a factory that uses peanuts, nuts and soya as an ingredient.